Jamie - TOTALLY INTO IT! As an assistant Manager my job involves the day to day running of a cinema complex. The position is dynamic and every day brings forth a different challenge and task that needs to be completed. I actually applied twice for the job, the first time was two years prior to actually getting the position. The 2nd time I applied I strolled into the Campbelltown event Cinemas and handed my resume to the lady at the counter and she was so impressed with my manners and the way I presented myself she squeezed me into the interviews that day which was extremely lucky. I’ve had this conversation with many of my fellow managers and staff members; I enjoy providing a source of entertainment to all of our customers and particularly to those in the community with special needs. During a shift I smile every time I see a customer with special needs being able to access our service independently with ease. How much behind the scenes work goes into actually playing a movie, being fortunate enough to dabble in a projection role I learnt a whole lot about the technical side of Event Cinemas. I was hired exclusively for Gold Class at Campbelltown, I remained a member of the team for a few years before being approached to become a supervisor due to my commitment to the job. After another year of supervisor duties I was offered a chance to join up in the management team over at Campbelltown which I thrived using my Gold Class knowledge to push the customer service and high standards throughout the whole complex. Prior to the Management training I was trained as a Projectionist which I remained in that role for about a year. Now I am a part of the team over at Liverpool holding the title of Assistant Manager. My proudest moment would have to be being asked to open up the New cinema complex at Miranda and Kotara. Going above and beyond the call of duty and obtaining the position of Assistant Manager of the Liverpool Event Cinemas, over the past few months the management team spread a happy and energetic work environment into an old cinema complex. Progression through event cinemas is always an option for those who want something more with the company, every boss I have ever had during my time at event cinemas has encouraged me to pursue a career (internally or externally) in anything I have passion for. Whether it has been graphic design or helping with some Public relation coordination. The ability to be in 10 places at once and make it seem like everything is fine. Going into a new role is always hard and Event Cinemas is quite good at preparing you for the challenges ahead. Mentoring the next generation of management is a high priority for every one of my past team leaders and this has been very influential in my own team development. 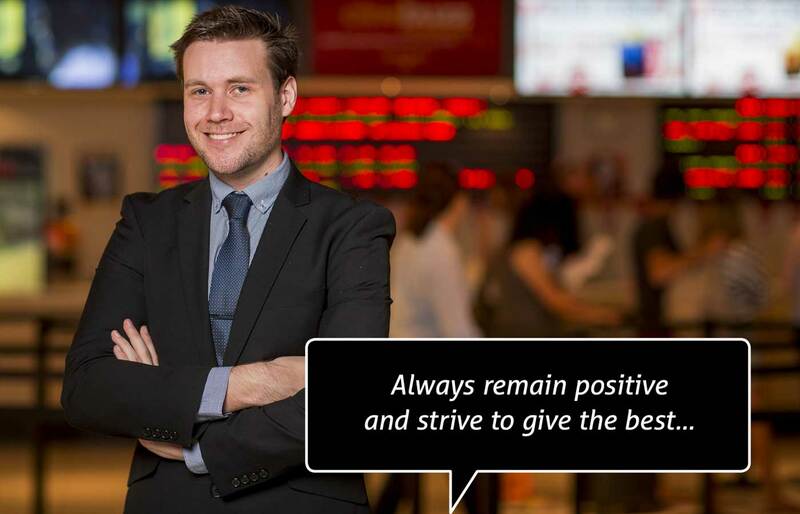 Always remain positive and strive to give the best customer service you can for our patrons, it will always reflect amazing on yourself. Do it! I have met some of the most amazing people throughout my time here at Event Cinemas and I don’t regret one minute of it. Lifelong friends and amazing memories will be cherished forever. I have been all over the state of NSW, watching and observing how other cinema complexes are run is the most intriguing things about a manager’s position. As someone who listens to AM radio and love journalism, it was a little exciting to meet Alan Jones at Event Cinemas Campbelltown. We don’t (usually) watch movies during our shifts! Myth Busted! As a new cinema worker I was given some Gold Class vouchers for a good days work, experiencing Gold Class for the first time was a great experience and it allowed me to understand what service I should be offering to everyone that walks through those doors. Managing people is great! Being able to look back on a hard day’s work with triumph along with a team of great people is an awesome feeling, hi-fiving everyone after a shift is fantastic. Why bother working anywhere else? Progression, amazing people and a great working environment!